It is time for a SP and Company card. This week I also used SP & Company's color challenge colors too. I love the colors this week. I used SP & Company's "Candy Hearts" set for the Cutie Pie and the hearts and hugs on the little top. The Congratulations is from "Ultimate Sentiments I" stamp set. The little dress was cut using Cricut cartridge New Arrivals. It is always nice to have some congratulation on a new arrival on had. There are an lot of fun things coming to SP & Company so be sure to check in often. Linda this is such a cute little cad - wonderful for a new baby! Very sweet little girl card….it has it all: pink, luscious ribbon, scallops, yum! That is so super cute! Love how darling it is! 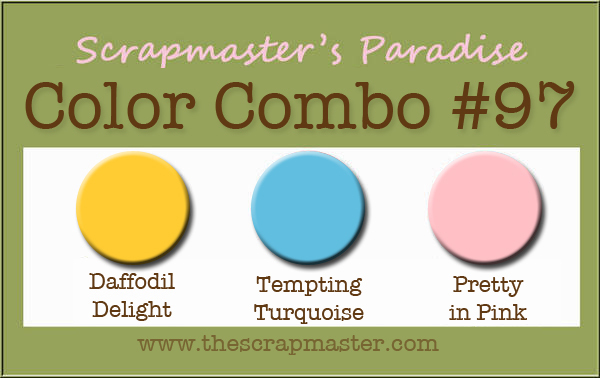 Those are some challenging colors, and I love they way you used them on your card! Adorable! You rocked that color challenge!!! !